Along party lines, the U.S. Senate Environment and Public Works Committee voted Tuesday to move the nomination of U.S. Sen. Jim Inhofe’s friend, Andrew Wheeler to run the EPA to the full Senate. The vote was 11-10 on making the recommendation of Wheeler, a former lobbyist for a coal company who also once worked for the EPA and spent 15 years as a committee aide to Sen. Inhofe. All Republicans voted for Wheeler and all Democrats voted “no,” including announced or potential 2020 candidates Sens. Kirsten Gillibrand (D-N.Y.), Cory Booker (D-N.J.) and Bernie Sanders (I-Vt.), who caucuses with Democratic senators. The vote drew immediate support from Sen. .Inhofe who issued a statement saying he was pleased the committee advanced Wheeler’s nomination. “When he served as my Staff Director of the Environment and Public Works Committee, he provided me with invaluable guidance, and in turn became a close friend,” said the Senator. “Now that he has been Acting Administrator for the past seven months, Andrew’s ability to lead the agency has never been clearer and I have no doubt he will serve the American people and President Trump with integrity and character. I look forward to his swift confirmation in the full Senate,” he added. Republicans have cheered Wheeler’s continuation of Pruitt’s aggressive deregulatory agenda, and said his seven months at the EPA’s helm showed he is capable of leading the agency on an official basis. “Mr. Wheeler’s done an outstanding job leading the Environmental Protection Agency these past six months,” Sen. John Barrasso (R-Wyo. ), the committee’s chairman, said before the vote. To Democrats, Wheeler’s continued leadership at the EPA means more danger and harm to public health, the environment and the climate. Sen. Tom Carper (Del. 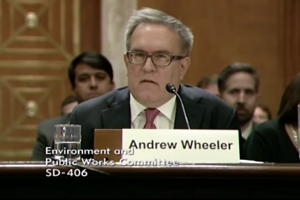 ), the committee’s top Democrat, pointed to a letter he wrote to Wheeler shortly after Wheeler took over in July, urging him to turn the agency around and learn lessons from Pruitt’s agenda. “It brings me no joy to say that he has not done what I’d hoped he would do in a number of important respects — not all respects, but a number of important respects,” Carper said. “In fact, in many instances, Mr. Wheeler has gone further than his predecessor in his rejection of important measures that are supported by a broad list of environmentalists and industry,” he continued, pointing specifically to Wheeler’s proposals to rescind the justification for the 2012 Mercury and Air Toxics Standards rule for coal-fired power plants and to freeze auto fuel efficiency standards in 2021 and cancel the planned increases in stringency for the following years. 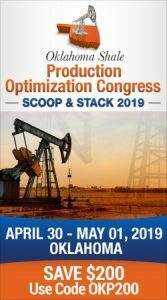 WASHINGTON — U.S. Sen. Jim Inhofe (R-Okla.), senior member of the Senate Environment and Public Works Committee (EPW), praised the committee passage of Acting Administrator Andrew Wheeler to serve officially as Administrator of the Environmental Protection Agency. Inhofe applauded President Trump’s intent to nominate Wheeler in November of 2018 and introduced Wheeler at his confirmation hearing.